Excuse me, can you tell me where we are”? As a wheelchair user on a crowded train, no way can I tell when I am approaching my train stop. 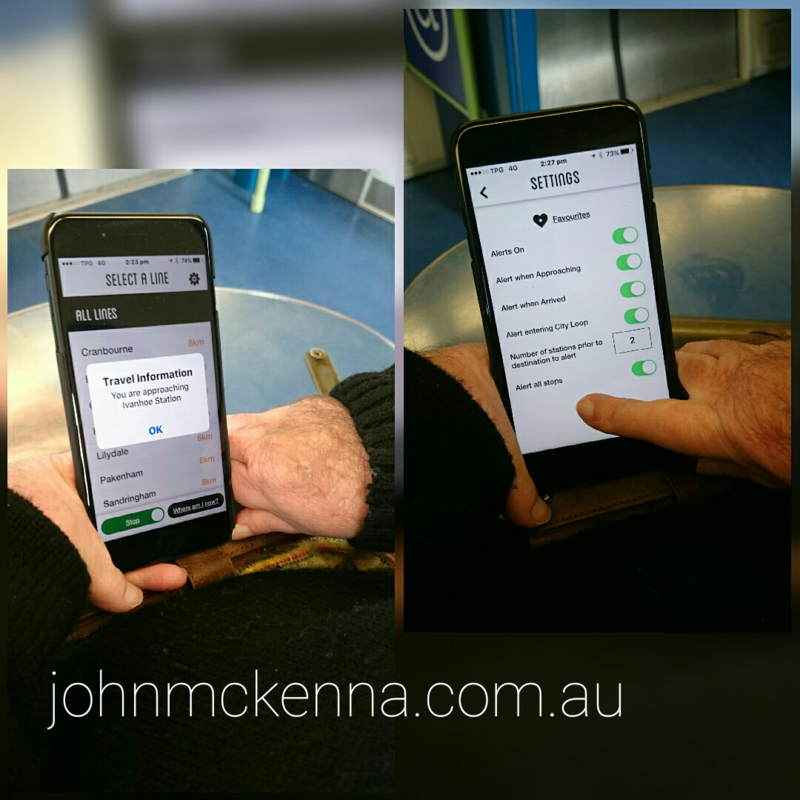 The “Stop Here” mobile phone app is for commuters using Melbourne Metropolitan trains. This app gives Audio & Visual notification from your mobile phone when you are arriving at your desired train station. Yes that’s right, it’s a GPS type technology that helps us train travellers. 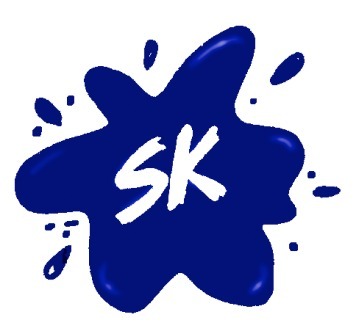 This app would also be useful for people from other countries where English as a Second Language (ESL) or from a Culturally and Linguistically Diverse (CALD) background. Missing your train stop can be a real “Anxiety Trigger” when alternative methods of transport are limited. So even if you may not use it yourself, why wouldn’t you put it on your phone to show others who could benefit? Chatting on the steps of Flinders Street Station with Mike Houghton CEO Metro Trains Melbourne. “When that has pups I’ll have one” as he pointed at my wheelchair. I’ve just arrived in far North Queensland and I must admit I love the spirit and personality of the locals. Apart from the warmth and friendly people, the highlight has to be so far knowing my wheelchair traveled safely, thanks Qantas. 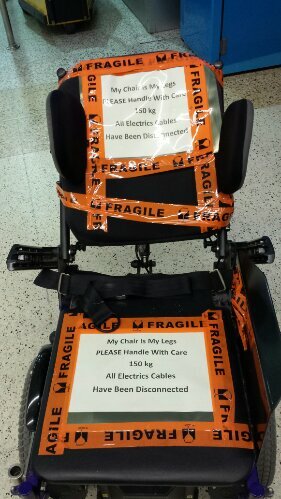 It’s all about the preparation and signage that makes it easy for the luggage handlers who have to work with variety of mobility devices. 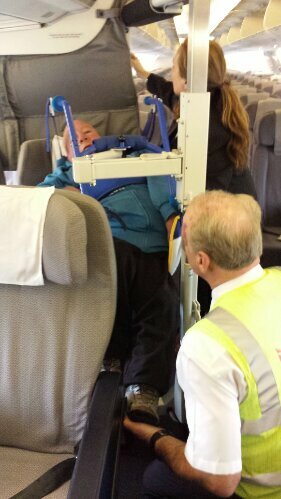 Other travelers in wheelchairs sometimes however prefer to have their own chair at the plane’s door when getting in and off the plane which can make it hard to prepare your chair for transporting of course. My experiences with the staff at Qantas who communicated with me in a very respectful way as they introduced and used the “Eagle Lifter” to transfer me in to my seat on the plane. The Eagle Lifter will soon be an option for passengers using Jetstar.